As the longest winless streak in Pep Guardiola’s managerial career continues, Manchester City should show him the door. Pep talk – Guardiola needs that winning feeling to end his 6 game winless streak at City. Graphic courtesy of the Stizmeister of the BlueRoom. City owner Sheikh Mansour, Chairman Khaldoon Al Mubarak and CEO Ferran Soriano need to point Pep towards the Etihad exit and emphasise – in no uncertain terms – there isn’t a hope in hell of them letting him go through it now, or ever, if they have their way. The Catalan genius won 21 major trophies in seven years at Barcelona and Bayern Munich. His ‘work in progress’ City team sit aloft the Premier League with almost a quarter of the season played – not too shabby. Critics are quick to point out the 20 points garnered from six wins, two draws and a solitary Premier League defeat, represent Pep’s lowest points as a manager after the completion of the first nine games of a new season. Cue a non-existent crisis. Not quite going to plan, but Pep will soon have City back to winning ways. Those looking to make mischief – the statistical anoraks and City detractors – rush to highlight that last season, under Manuel Pellegrini, City had 21 points after the same number of games played. Pellegrini of course, twice led City to League Cup glory – the competition Guardiola’s City exited last night at the hands of bitter rivals United – so there’s only one logical conclusion…Pep’s methods are obviously not working, he’s destined to fail in England, oh and while we’re at it, the Earth is flat, the Moon is made of Swiss Cheese and Zlatan Ibrahimovic is the most modest individual on the planet. 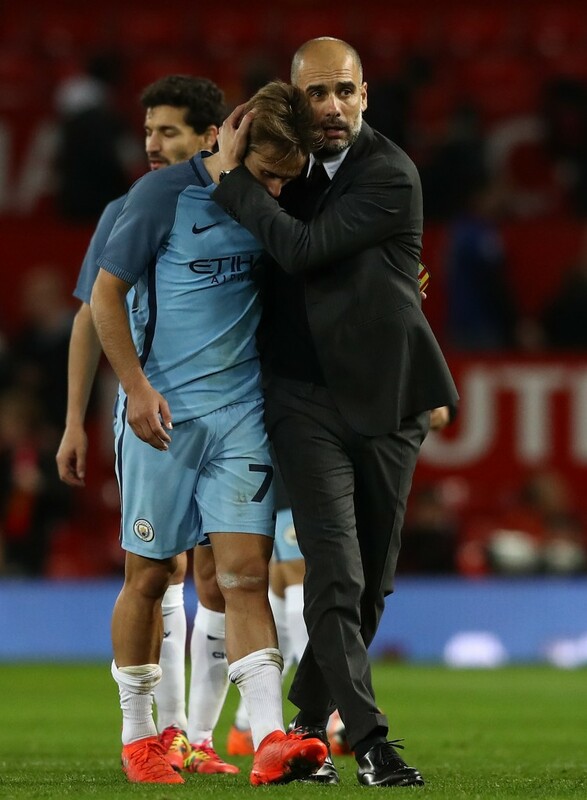 Guiding hand – Guardiola consoles young Aleix Garcia after the EFL loss at The Swamp. Pep’s previous ‘worst’ points haul after nine games was 21, both at the Nou Camp in 2011/12 – his last season with Barca when they finished 2nd in La Liga to Real Madrid – and likewise at the Allianz Arena in 2014/15, when he won the second of three consecutive Bundesliga titles. Based on those stats, one can only imagine the stampede to jump into the lifeboats as Manchester City teeter on the brink, before sinking into oblivion! But those seeking to sow any seeds of discontent during Guardiola’s ‘bedding in’ period at the Etihad are heading for barren times. Pondering Pep – Guardiola is trying to figure out how to get City back to their early season all-conquering form. Evidencing City’s 1-0 EFL Cup defeat at Old Trafford, as proof of Pep’s early ‘failings’ in English football, is as misleading as it is foolhardy. 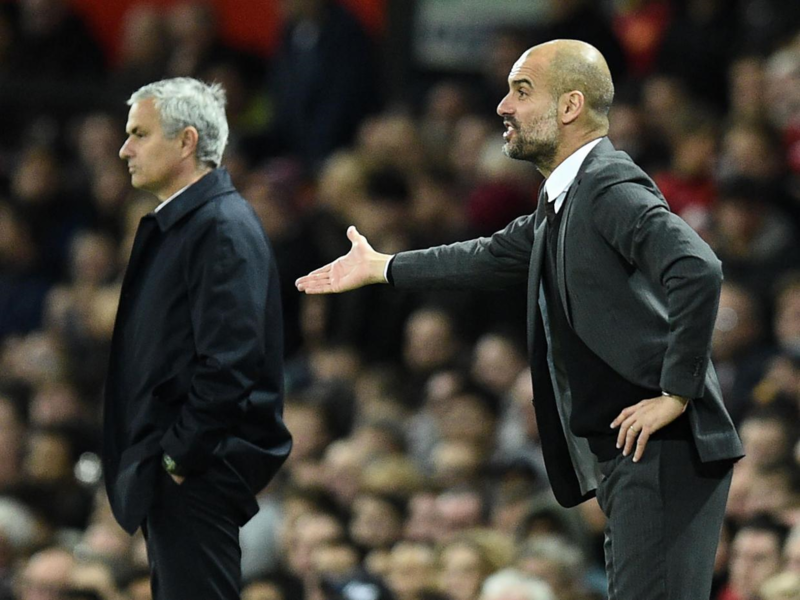 You only have to look at the polar opposite approach adopted by Guardiola and Mourinho for the season’s second Manchester derby. Pep made nine changes for the team held to a disappointing 1-1 draw by Southampton, where Jose selected his full strength United team following Manure’s 4-0 mauling by Chelsea. 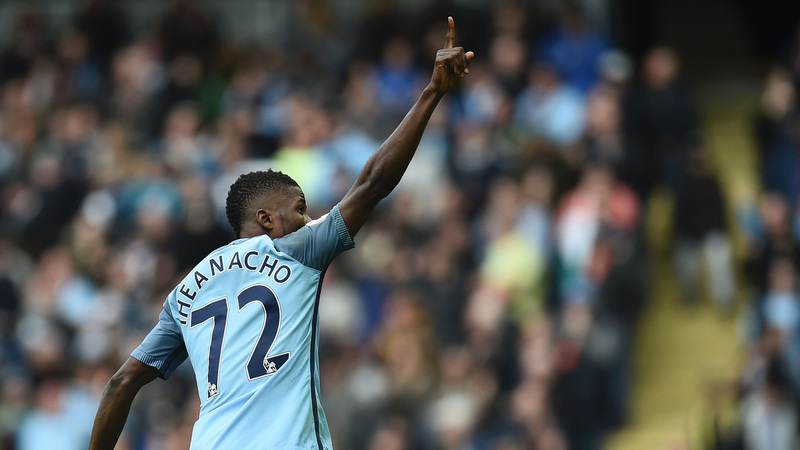 Etihad Salute – Kelechi acknowledges the cheers after equalising for City against Southampton. Deprived of only De Bruyne, Sagna and Zabaleta through injury, Pep gave CFA starlets Pablo Maffeo, Aleix Garcia and Kelechi Iheanacho 90 minutes a-piece. Similarly experienced squad players Jesus Navas, Fernando, Willy Caballero played, when they normally wouldn’t. Sterling and Aguero were only utilised as substitutes, whereas the creative talents of Silva and Gundogan, the energy and endeavour of Fernandinho, and the skilful defending and ball-carrying qualities of John Stones, all remained dormant. 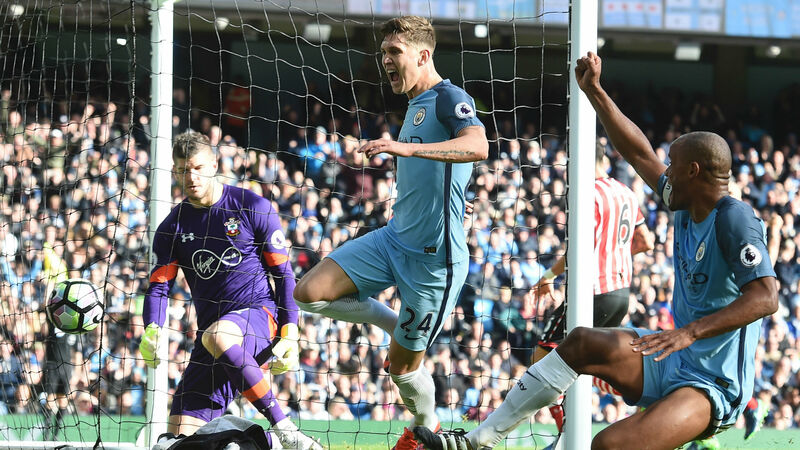 Stone the crows – City’s immensely talented centre back John Stones, feels the joy before the pain of having his ‘goal’ ruled offside against the Saints. Pep made clear his priorities for the season, via his team selection. 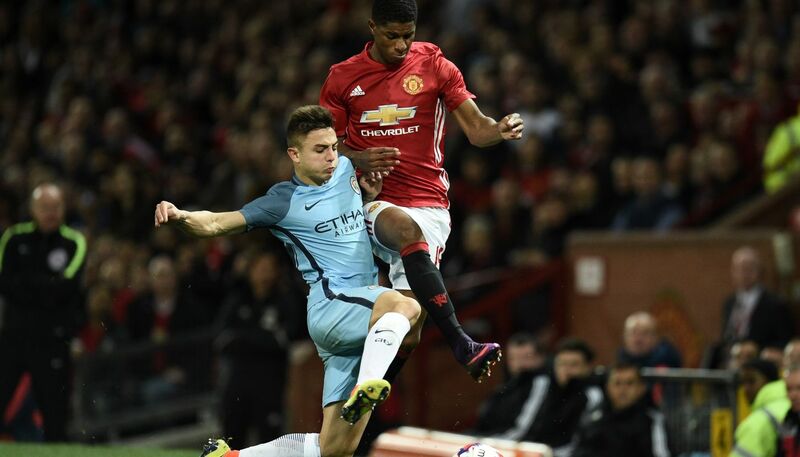 Yes, it was disappointing that City lost – especially for the 8,000 travelling fans who’d paid up to £45 a ticket – but it illustrated a stark contrast between the present day aspirations and perceptions of City and United. Here was Pep, focusing on the Premier League and Champions League…and then we had Jose, picking his best XI out of sheer desperation to try and overcome what could easily be perceived as City’s second string, bar a couple of exceptions. Forget ‘Throwback Thursdays’ this was ‘Rewind Wednesday’ with United playing their season’s Cup Final against ‘Liddle Old Citeh’ – my oh my, how times have changed. The City fans generated a tremendous atmosphere serenading the Stretford End with an apt, rousing and slightly altered rendition of Frankie Valli and the Four Seasons’ classic ‘December, 1963 (Oh What A Night). It went something like this: ‘Oh what a night, watching City on a Wednesday night, you play Thursday because your ‘Ckin shyte, what a feeling what a night…’ – repeat 300 times and fade. It was Mourinho’s fourth win in 18 attempts against Pep, and while it would be churlish to describe it as a pyrrhic victory, the impression is clearly one that City’s best will far outshine United’s in the forseeable future. Guardiola gracious in defeat with Mourinho, but the outlook is better for Pep’s City, than Jose’s United. Back to the present and Pep knows City’s 11th win of the season is now well overdue and a necessity, if they are to go into November maintaining pole position in the Premier League. A visit to WBA – a very happy hunting ground in recent years – could, indeed should, prevent Pep from reaching a less than magnificent seven matches without a win, in his hitherto, supremely successful managerial stint. 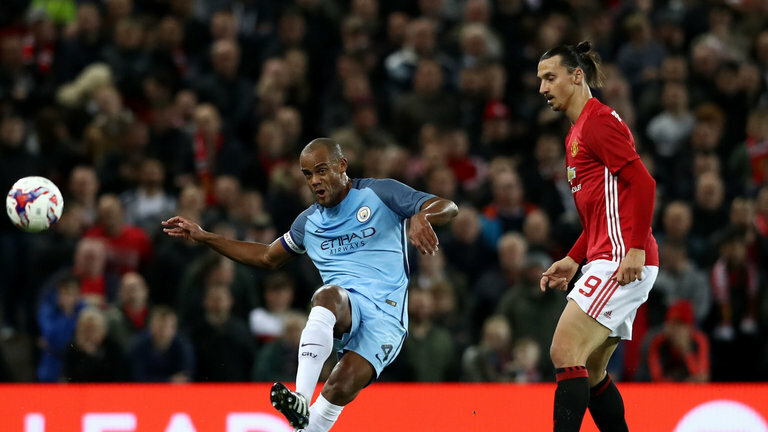 Good Kompany – can City’s Captain Fantastic be a regular this season in Pep’s First XI and finally beat his injury blues? With just two goals scored and nine conceded in the last five outings, the ‘blip’ in City’s performances appear to lie at both ends of the field. Even a man of Guardiola’s undoubted quality and standing knows City have to get back on track with Barcelona and Borussia Moenchengladbach on the horizon next month, along with three eminently winnable Premier League fixtures. Pablo’s the name and playing for City at right back is his game – but this is Maffeo not Zabaleta. Despite the youthful emergence of the likes of Maffeo, Garcia and other graduates from the CFA, Guardiola knows he must busy himself in forthcoming transfer windows, especially when upgrading a fragile and ageing City defence. 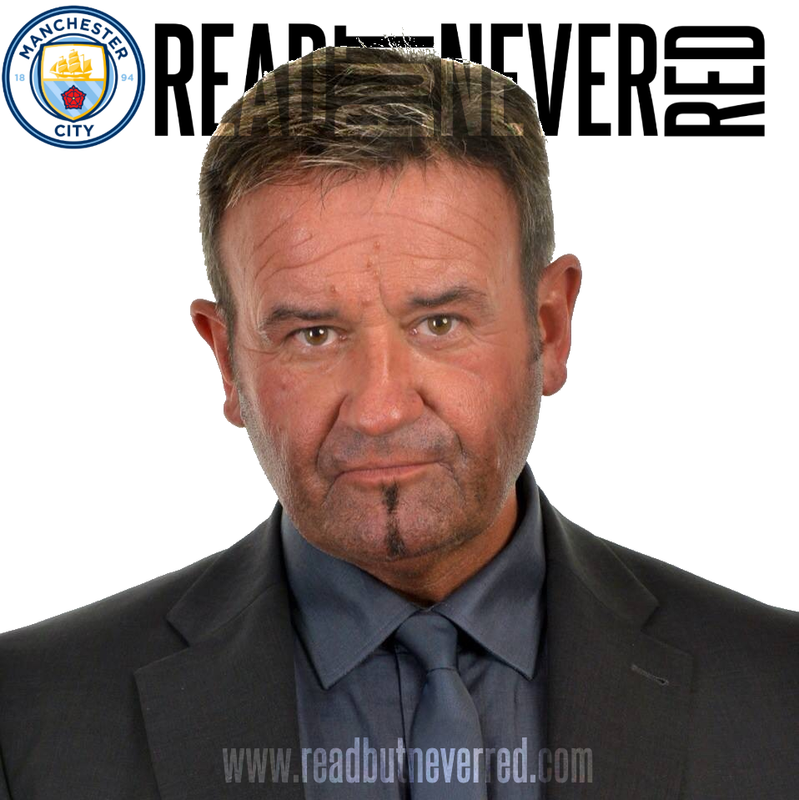 And, as windows open and new talent comes in to the Etihad, one door will remain firmly closed, dead-locked and triple bolted…Senor Josep ‘Pep’ Guardiola Sala is going nowhere…apart from taking City to the pinnacle of English and European club football. Great, sensible stuff Dave. Not much sense out there at the moment especially at some of the so called (click bait) City sites. Even on the MUEN site (obviously negative) there were so-called City fans moaning last week about the defeats and draws and lack of goals from Aguero and his imminent sell off (you read it first in the Mirror). Crisis - only top of the league by goal difference after a couple of draws & defeats....crumbs - yes even some City fans can be fickle & stupid. They talk as though they know better than Pep. I can remember a utd fan on Radio 5 complaining that she didn't have a season ticket at Old Toilet (though from what I hear it'll be new toilets please) to watch her team not win - because they had a divine right to do so. I suspect some johnny-come-lately city fans may be the same. Of course we have higher expectations than when we were in Div 3 but we're not going to win all the time. We'll lose occasionally, draw a few & win loads. Through out it all we're going to see some of the most beautiful football ever played in the England and we already have done. And remember they're still new to the system that takes risks but when it works , Oh Lord does it work! I can't remember when I was less arsed to see a full strength team beat a second string - and great to see Maffeo & Garcia do so well. Thanks Stuart - smashing feedback. All very tongue in cheek stuff David. Last night would have been very different with a "full strength" first choice City team. To a simple soul like me the object of the game is to score goals irrespective of the ball possession statistics. Recently, after a super start with some great counter attacking, City seem to have slipped back into last seasons slow build up negating chances of creating clear cut chances when defences have time to get back and organise. Am sure this will be cured and with VK back, looking as commanding as ever, the defensive calamities of the las few weeks will be a thing of the past. VK, Otamendi and Stones are 3 pretty good CB's. With the second Jesus arriving in January and the perhaps inevitable arrival of "new" full backs the future is indeed Blue. Yes RC a little bit of 'click bait' tongue in cheek, but I agree we've lost a bit of momentum. That said, we started far better than I would have dared to dream. Pep will get it right before too long - just another couple of transfer windows and watch us go. Still think we're good for the Premier League title but definitely not ready for Champions League crown. This was an excellent statement, one that l wish some City fans would look for instead of going off the deep end, some of us understand what Pep is trying to do and just need patience, it will come good, Pep is a top top manager whom knows how he wants his teams to play and it has stood him in good sted at Barcelona and Bayern Munich, granted PL might be a little different to other leagues but how many CHAMPIONS Leagues has he got to playing his way. Thanks for a very good read. excellent piece Dave, agree with you all the way. 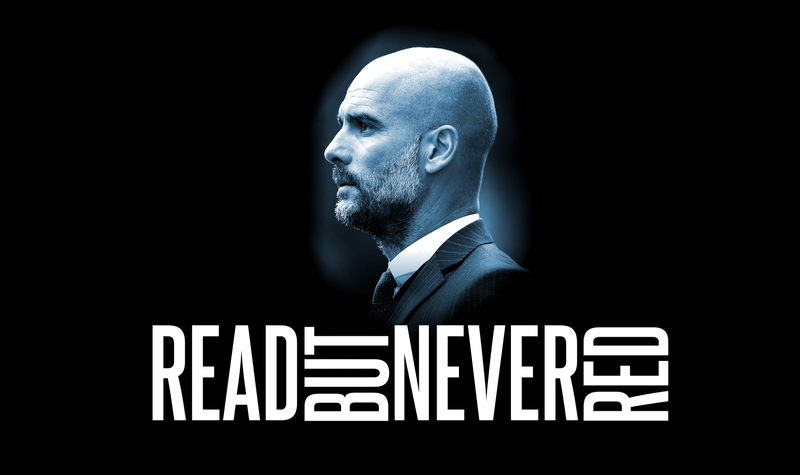 It is very early days for Pep and he will make City undisputed champions. But even then we will lose now and again, c'est la vie! We can but hope and believe that it is only a matter of time - merci. Fantastic piece and 1 that 'most' City fans concur with. Watching City is a journey and you just get this sense that this journey has barely left the departing platform. Do you get this sense that Hogwarts Express is ready to be stoked up. Isn't it strange/ironic that Pep was lauded by the World & His Wife as THE best coach/manager up until the point he accepted the City job...and then all of a sudden he was a 'failure with Bayern for not winning the Champions League', he was a 'lucky manager who had inherited great teams' and 'he'd struggle in England'. Had he gone to United he wouldn't have had any of these comments. It just shows how a pernicious press and malignant media try to shape the mindset of the masses. Like yourself, I have 100% faith in Pep. It'll take at least 3 or 4 transfer windows for City to have 'Pep's team' and even then, we may never hit the dizzy heights of vintage Barcelona, but it'll still be the best we've ever had, and probably the finest football team in Premier League history. Perhaps the new generation of fans lack a little of the wisdom of the older, more worldly wise City supporters who have been through thin, thin and anorexic times! The young players we have in the background is unrivalled, no doubt the media will say they dont live within 20 yds of The Etihad so do not count. 72 NEWCASTLE UTD v MAN CITY – Costel’s lucky number 13? 146 MAN CITY 1 BAYERN MUNICH 3 - Blitzed!